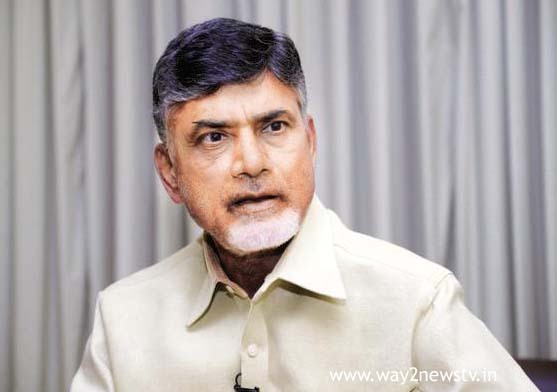 CM Chandrababu Naidu said every district collector should be accountable in the district level. The collectors are advised to work on sustainable development goals set by the United Nations. Chandrababu participated in a meeting of district collectors at Amravati on Thursday. Every three months development statistics are a big test for us. The collector's conclusion is how much growth has been achieved. Each branch has a key performance index. There is a scientific record of growth. Chief Minister Chandrababu Naidu said that the crisis has been made possible.In the past seven years, the State Government has made progress in achieving the achievement. What happened in the first six months of 2017-18? The main debate was discussed on what to do in the last three months. The progress of the achievement in different missions, the future strategy of the officers of such missions. There was a review of income sector. The Chief Minister said that in the field of development of all sectors, the challenges faced by the division of the state are progressing. Compared to 2014-15, the growth rate in agriculture, industry and service sectors has increased significantly. The Chief Minister expressed concern over the lack of underground drainage works in Vijayawada and Guntur. The Chief questioned why the Center did not take up the work for two years. The Chief Minister has objected to the lack of grant of certificates. The CE ordered to remove the contractor if necessary.